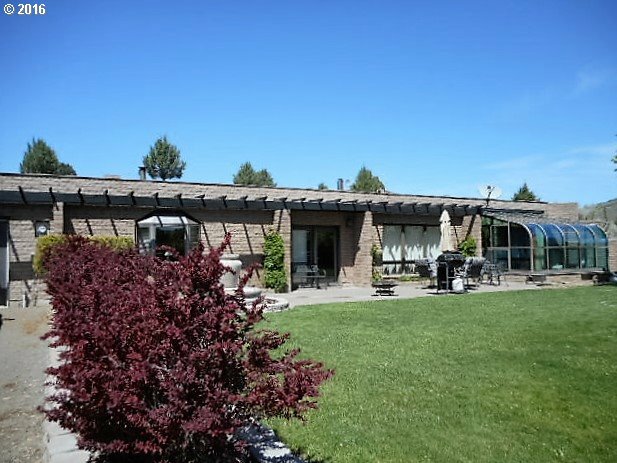 All John Day homes currently listed for sale in John Day as of 04/25/2019 are shown below. You can change the search criteria at any time by pressing the 'Change Search' button below. If you have any questions or you would like more information about any John Day homes for sale or other John Day real estate, please contact us and one of our knowledgeable John Day REALTORS® would be pleased to assist you. "Perfect Getaway Destination On 560 Acres Of Timbered Seclusion & Beauty! Hunt, recreate or enjoy the 4 seasons by making this your primary home, expansive views, custom off grid 2 story home featuring an open living space, Hickory floors, tongue & groove vaulted ceilings, kitchen w/Granite counter tops & stainless steel appliances, covered deck, garage, shop, barn w/area, yr rd crk, 89+ ac of water rights of records, LOP Tags. 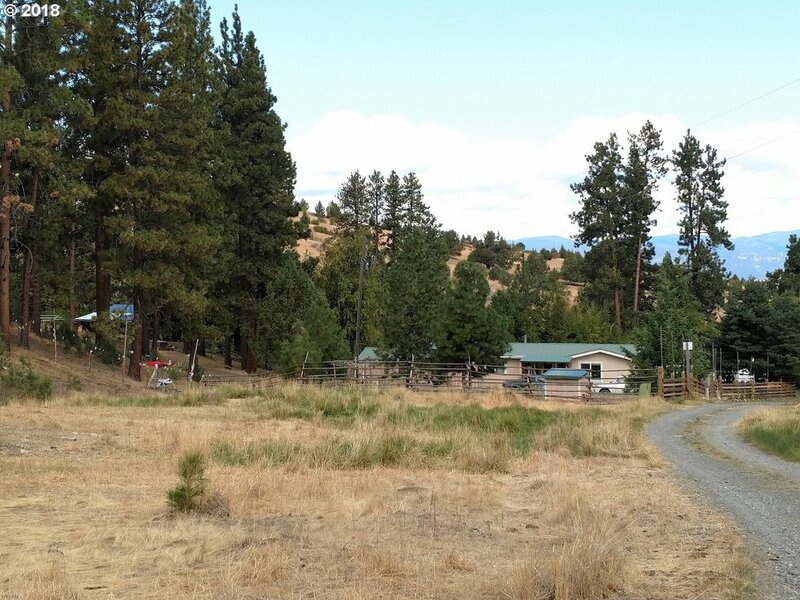 $995,000"
"SMALL ACREAGE DREAM! Lovely home on 5.52 acres w/mt views, open concept living w/vaulted ceiling & natural light, family style kitchen, dining room, living room features wood accents, family room w/deck access, 3 bedroom, 3 bath, heat pump & wood stove, deck, tile roof, landscaped, raised flower beds, large vinyl fenced garden area w/watering system, green house, deer fencing, shop w/220 & concrete floor, graveled driveway. $500,000"
"UNIQUE EARTH BERMED HOME ON 8.84 ACRES! Fabulous mt & valley views, pride of ownership, open floor plan, living & family rooms, dining area, utility & sun room, kitchen w/breakfast bar & appliances, pantry, wood heat & wired for electric, wood heat, 3 bed, 2 bath, cinder roof, landscaped w/sprinkler system & water feature, patio, carport, attached garage w/shop area, large shop w/covered RV parking & paint room. $435,000 #894"
"Would make a great Bed & Breakfast!! !Beautiful Views overlooking the John Day Basin,mountains and seventh street complex.This home offers 9 bedrooms 3 bathrooms (previously used as assisted living home).Home has very high end upgrades throughout.Beautiful kitchen with lots of cabinetry,quartz counter tops,tile floors.Home shows pride of ownership throughout.Lots of parking,landscaped yard,underground sprinklers & more." "First time on the market since 1997. 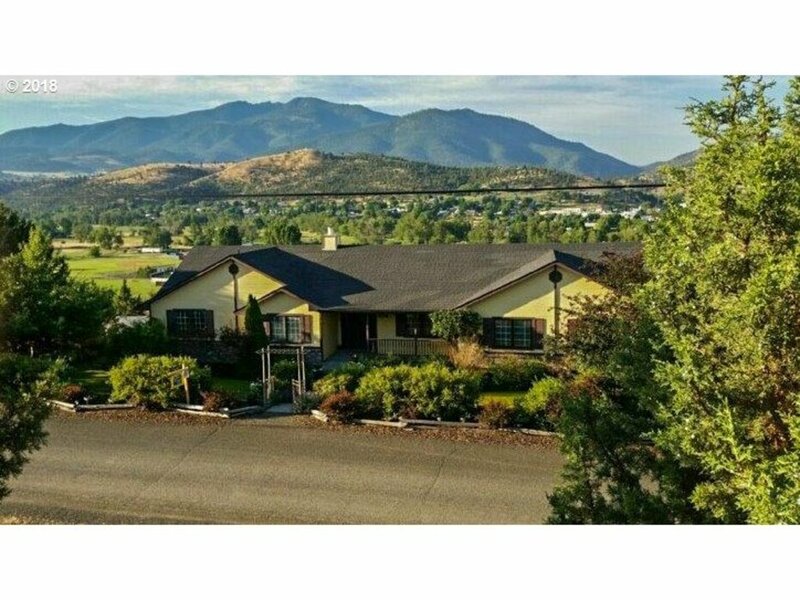 Quality custom built 2 story,3 bed/2 1/2 bath home setting on 1.57 +/- acres overlooking the John Day Valley and the mountains beyond.Cathedral ceilings,oak stairway,covered gable entryway. Finished 2 car garage,2 large decks. Adjoining fully functional apartment for a loved one,guest or rental income. Pride of ownership." 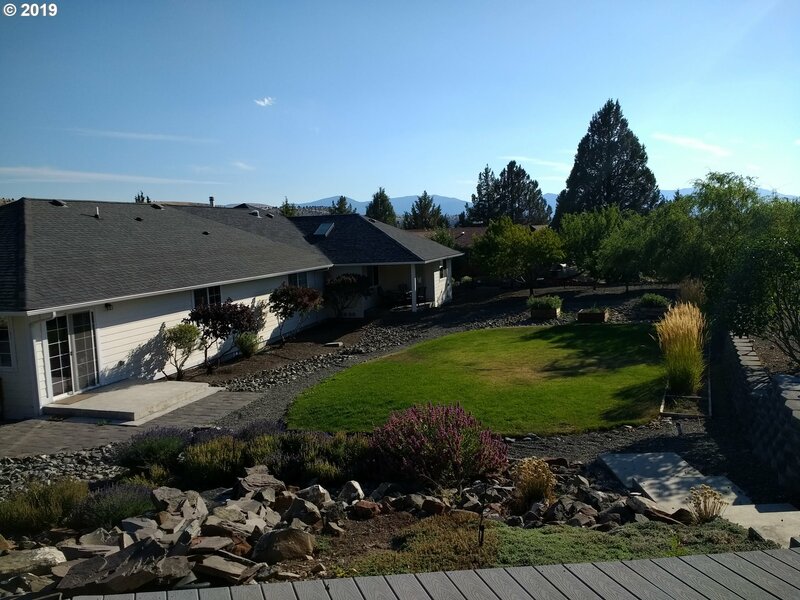 "Expansive Views from this beautiful home setting in Ironwood Estates. 4 bedroom 3 bath home with possible 5th bedroom, used as office. 2 master bedrooms w/master bathrooms.Hardwood floors,beautiful tiled floors,walk in tiled shower & more. Nicely landscaped yard,raised beds,decorative block, 11 fruit trees & fenced. Attached 2 car garage, pull through driveway & storage shed.Call and make your appointment today"
"Reduced! Sit on your large South facing deck & enjoy the beautiful mountain views & wildlife. This home is low maintenance inside & out w/3 bedrooms,2 bathrooms & 1676 sq.ft. Home has open kitchen-family room w/custom cabinets. Master bedroom has master bath w/walk-in shower.Home has new metal roof & gutters,attached 2 car garage,Lg storage building,lots of parking & room for an RV." 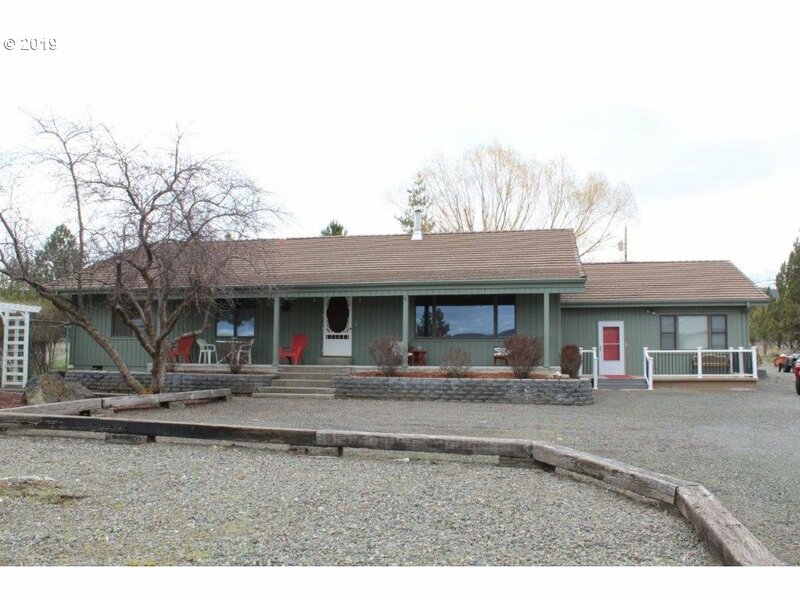 "Fabulous mountain views in this ranch style 4 bedroom- 2 bathroom home. Newly updated bathrooms. Pride of Ownership with this house. Sit on the back deck overlooking John Day with views of Canyon Mountain. Large .61 acre lot with plenty of room for a Shop and fully fenced with unique welded fence and gate. Fully landscaped yard with water feature. Call me today to see this gem. Sellers are motivated and ready to sell." "Pride of ownership inside and out of this well kept home.Beautiful views of Canyon Mtn. 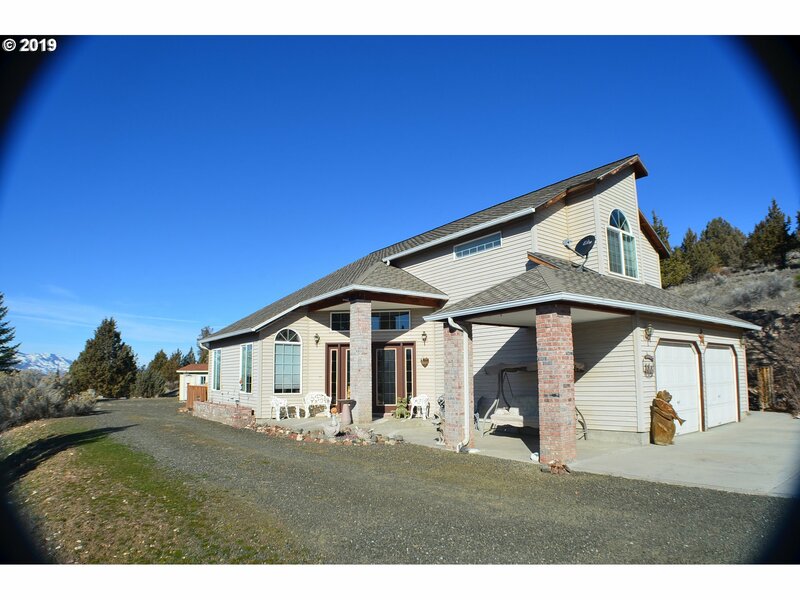 & the city of John Day.1710sqft home 2 bedroom w/possible 3rd (needs closet) 2 bathrooms.Large Living room, exposed wood vaulted ceilings.Sliding glass door out to covered deck & patio. Outdoor kitchen,landscaped,terraced,sprinkler/drip system.All appliances included in sale. Seller offering $1000 flooring allowance.Large pantry,lots of storage." 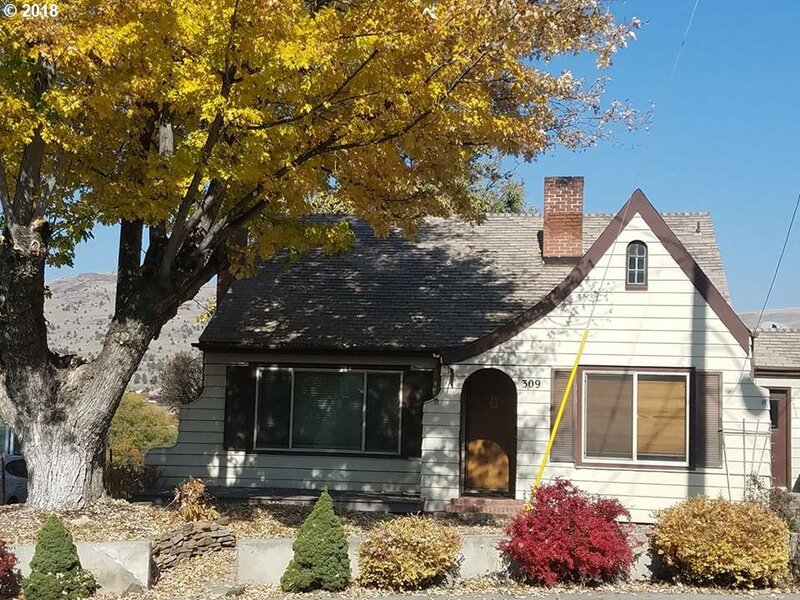 "Best investor opportunity in Grant County! Fixer upper in VERY desirable location, close to amenities. FANTASTIC VIEWS, single-level 3 bdrm home with nice floor plan & detached double garage. Living room plus family/great room. With Fixup this home could be a Diamond! Bargain-priced for cash sale.Priced to sell for CASH sale. Sold As Is." "CHARMING TUDOR-MOVE IN READY! Looking for a lot of sq ft? 1,238 main level, 604 upper & 985 sq ft unfinished BSMT=2,872. 4 bdrm, 2 bath w/an office. Recessed lighting in kitchen, oak cabinets, formica counter tops, original hardwood floors through the home, charming propane fireplace & vintage hardware. Wood & electric furnace to keep you toasty. 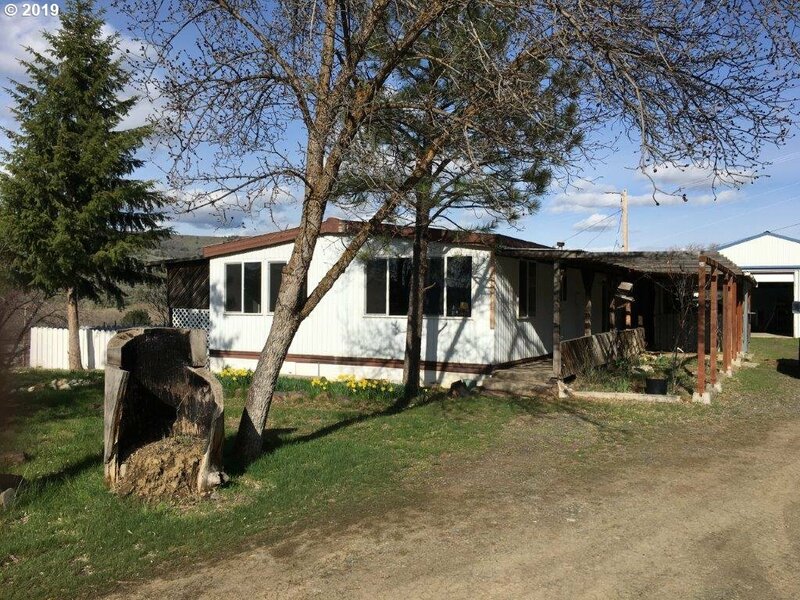 UNDGND sprinklers, fenced in back yard, 12x15 shed w/power, work benches in Basement"
"Don't miss this opportunity to own your own little hobby farm just minutes from Strawberry Mt. Comes with various fruit trees, large irrigated garden area. Little Indian Creek runs through the middle of the property with irrigation rights. Animal/chicken house, feed room, hay shed, wood shed, storage sheds. 1979 Paramount Mobile Home with 3 bedrooms-2 bathrooms. Granite counters, New Built-in stovetop. 1000 Gal. holding tank for irrigat"
"NEW LISTING! 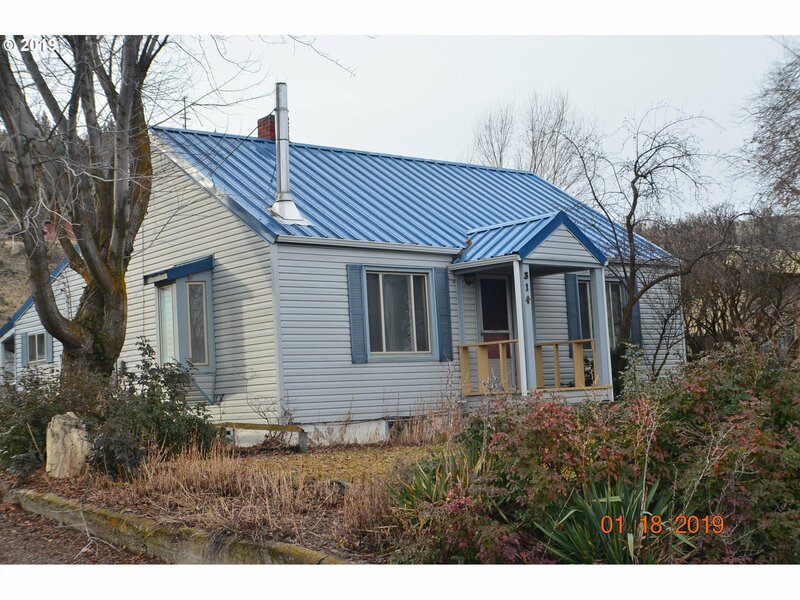 Remote off-grid 1300 +/- square foot 3 bedroom 1 bath log cabin with loft on 12 +/- timbered acres with gravity flow spring-fed water supply, fireplace w/woodstove insert, propane lights, fridge & hot water heater. Panoramic views of the valley below, two decks. Gated access. Same owner since 1987. 3 plus miles to paved county road, 5 more to town. Shown by appointment only." "Cute Cottage House On Hillcrest. 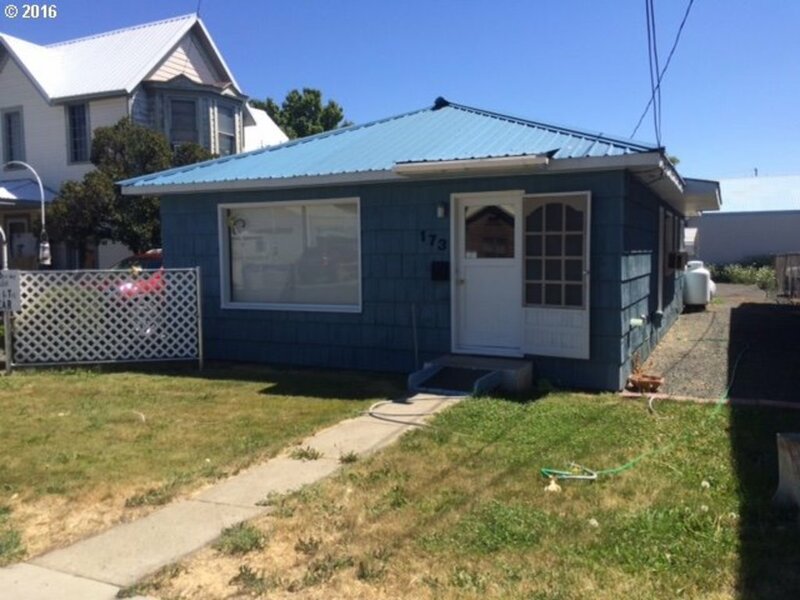 2 bedroom, 2 bathroom, 1,824 sq ft, some windows upgraded to vinyl, metal roof, Blaze King Princess stove, oil furnace, tile flooring, hardwood & kitchen appliances included. Covered porch for outdoor living. 240 sq ft shop with concrete floor & work benches. 9X10 storage & 4x8 shed for garden tools. Main floor 1,024 sq ft, partially finished basement 800 sq ft.Lots of potential. Bonus rooms in basement." "RENOVATED HILLTOP BEAUTY LOCATED ON 1 ACRE! Private drive, within walking distance to town, great views overlooking the valley, quality finishes throughout this 1972, 3 bed, 2 bath mf home, open floor plan, oil heat, laminate flooring, barn wood accent wall & wainscoting, covered deck, large fenced yard, fruit trees, terraced area w/rock work, large shop w/concrete floor, 220, loft & 2 storage rooms, 1 roll up & 1 slider door. $120,000"
"Great location across from 7th Street. 1974 Skyline MH, 1,344 sq ft, 3 bedrooms, 2 bathrooms with true master suite w/walk in closet.Laminate flooring throughout most of home. Large living room with lots of natural light. All the windows have been upgraded to vinyl. 17x24 attached garage, 8x25 covered deck, 12x56 back deck and multiple outbuildings. Underground sprinklers in backyard with irrigation pump. Room for a garden. .33 acre lot"
"Charming Midcentury Modern gem in the heart of Historic John Day. Era-specific, almost impossible to find touches like a coved ceiling in the living room, beautiful original hardwood floors and all original wood trim. Drink coffee while admiring the beautiful mountain view from the huge double-paned vinyl picture window. There is even a fenced backyard for the kids and pets! Don't forget an annual succulent garden in front!" "COMMERCIAL PROPERTY w/APARTMENT! Nice location, great potential for a small business owner looking for attached living space, currently being used as a beauty salon, apartment has private entrance, 1008 sq ft, built in 1950, 1 bedroom, 1.5 bath, propane heat, laminate & vinyl flooring, metal roof, landscaped, gravel driveway, carport, city services, salon equipment, fridge & range included, plenty of parking. $92,500 #898 OWC"